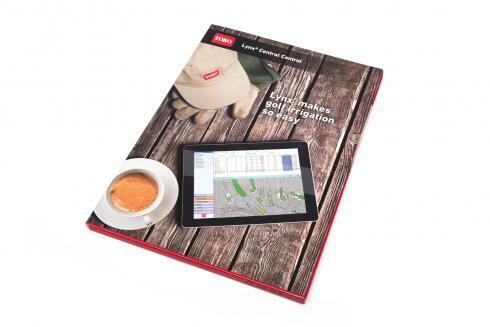 Toro, a world leader in golf course technology and equipment, recently made a multilingual update to their promotional material. 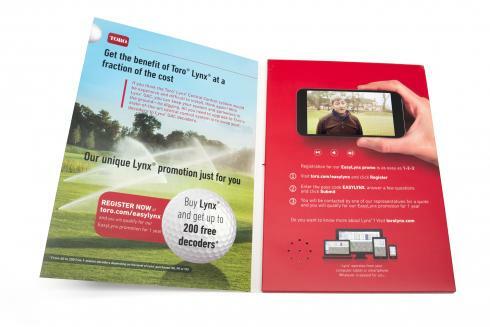 Following the success of their original promotion produced by Centigrade, the updated direct mail features a video screen with newly updated videos highlighting the features of their Lynx GAC system which allows golf courses improved automation of their existing irrigation systems. The video brochure was made in English, German, French, Dutch, Italian, Spanish. Toro has had great experience in using “video-in-a-box” promotions for their high-value products and has also completed an update to their flagship Infinity product material featuring European video testimonials.